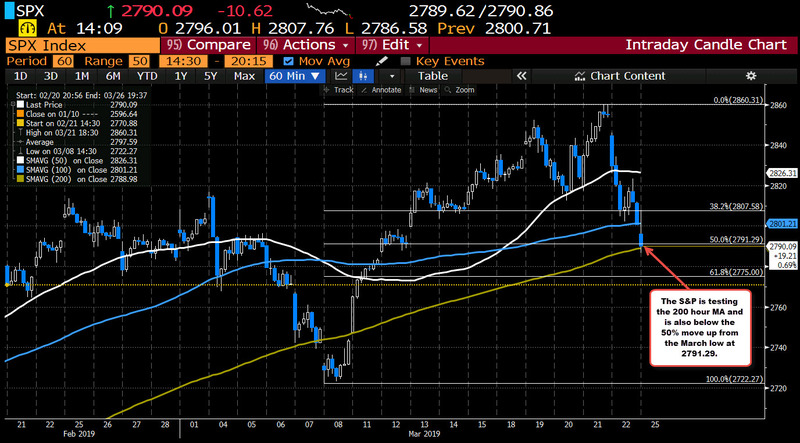 The S&P index just moved to a new session low at 2786.58 and in the process dipped below its 200 hour MA at 2788.98. Thear has been a modest bounce off the low, and the price has moved back above the 200 hour MA, but the level remains in sight. If the index trades back below, the selling could intensify once again. PS on the move, the price is also below the 50% retracement at 2781.29. 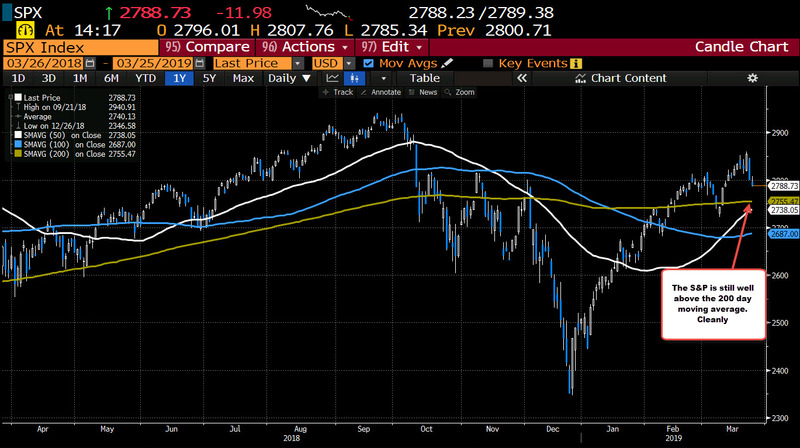 On Friday, the index fell sharply but closed right around the 100 hour MA at 2801.21. Today, the price moved higher away from that level, but has since turned sharply around. Staying below the 100 hour MA (blue line) will also be a key level to eye, and would keep the bears more in control. Taking a broader look at the daily chart, the move down from last week's highs is still relatively modest. The price does remain above the 100 day MA at 2755.46, the rising 50 day MA (white line) at 2738.00 and the 100 day MA at 2686.97. Technically, it would take a move below each of them to increase the bearish bias for the broad index. We are still a ways away from those levels. So the intermediate picture is tilting more to the downside, but the verdict is still out as to how bearish bias can get.